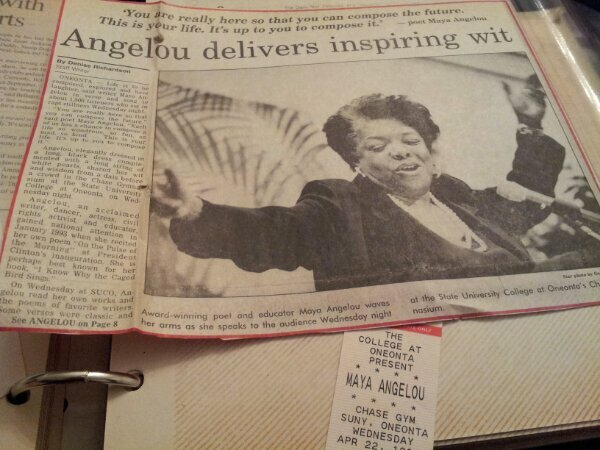 The clipping I saved from college when I heard Dr. Angelou speak. 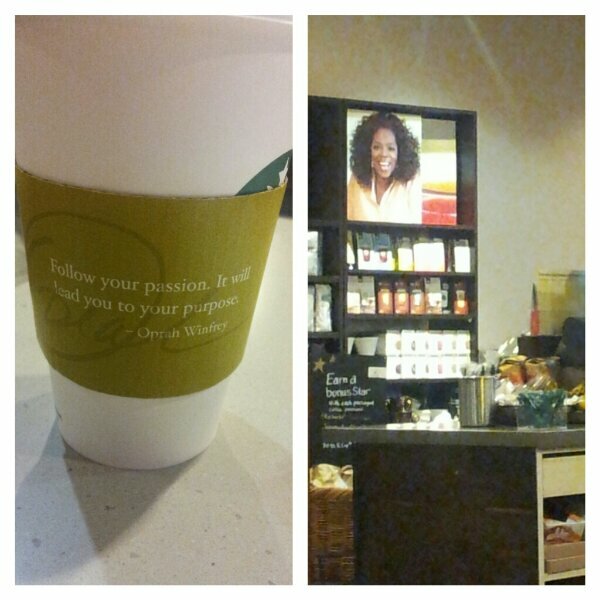 I was sipping on my Chai Tea Latte the other day when I noticed Oprah staring at me. She was looking at me from a picture, but nonetheless she was gazing. Then I read the sleeve on my cup and it said, ” Follow your passion. It will lead you to your purpose.” Oh Oprah! You are right about that. It’s not an easy journey but a great example of a woman that found her purpose is Dr. Maya Angelou. What a Phenomenal Woman, who brings Oprah’s statement to life. 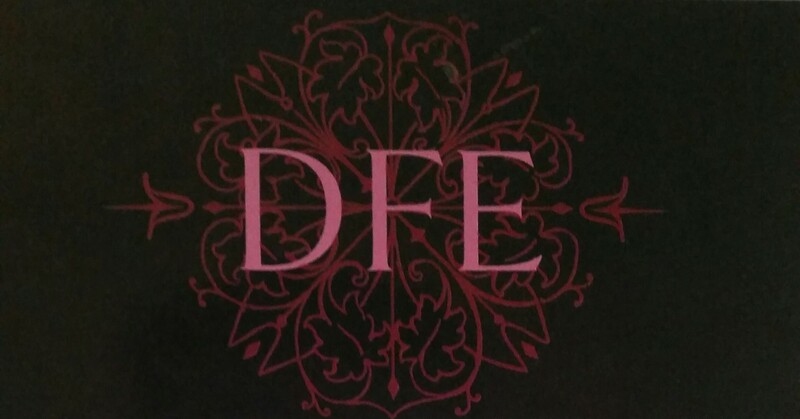 Let her example of following her passion be your guide in your journey toward your own purpose. May she rest in peace. Read Ronda Racha Penrice’s article about her life.